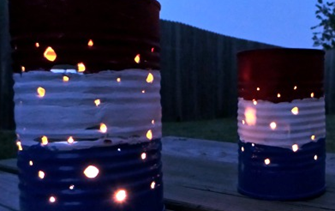 8 Easy 4th Of July DIY Decorations! 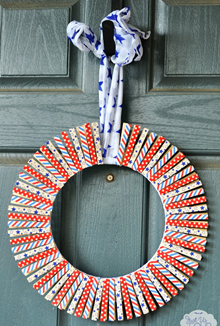 You are here: Home / Holidays / 4th Of July / 8 Easy 4th Of July DIY Decorations! Do you throw a Star Spangled party for the 4th? 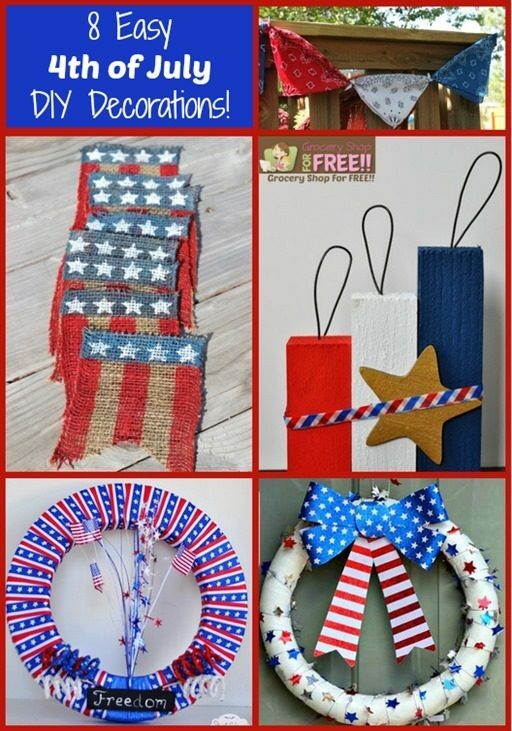 If so, here are 8 Easy 4th Of July DIY Decorations! The 4th of July is always such a fun time of year with all of the parades and fireworks, flags flying high, red, white, and blue everywhere! It’s just a fun time to barbecue, swim, wait with the kids anticipating the fireworks as we relax in the cool evening breeze! I remember watermelon and sparklers when I was a kid, as well as the fireworks displays. However you celebrate, you might find some of this easy DIY Decorations a perfect addition to your day or weekend!